Campsites in Jura allow you to take advantage of everything that the stunning mountains have to offer. 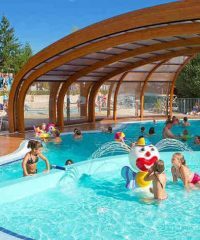 The Jura region boasts some of the best campsites in France with the best views. Walk in the Natural Park, see the beautiful Hérisson waterfalls or try your hand at skiing, climbing and paragliding. Best of all the Jura region of France is a great location for getting back to nature and recharging your batteries. Take your own tent, caravan or motorhome or rent a tent or a mobile home on a campsite with a pool. Find the best Jura campsites below, by using the map or choose from the following locations: Bonnal, Doucier, Parcey or Patornay.